My heart cannot begin to express the joy that these two verses give me. He is risen! He lives! Do you know what that means? Do you know what we can now do and feel and become because He has risen for us? His almighty hand is in each of our lives, though we may all feel and recognize it differently. How do I know that my life is profoundly different because of Jesus Christ? I have hope for a better life. I do not have to let my past define me. I know that my life has purpose. I can conquer any challenge or trial through His help. I know that my family can be together for eternity. I know that my Father in Heaven loves me with an infinite love and is so aware of me. I can become so much more than I am. My weaknesses can be made into strengths. My sorrow and pain never has to last. The darkest parts of my soul can be replaced with pure and glorious light. I can be successful in life and find everlasting joy here and in the life to come. I can have eternal life. And that doesn’t even begin to cover it! How is your life different because of Jesus Christ? It is my testimony that HE LIVES! 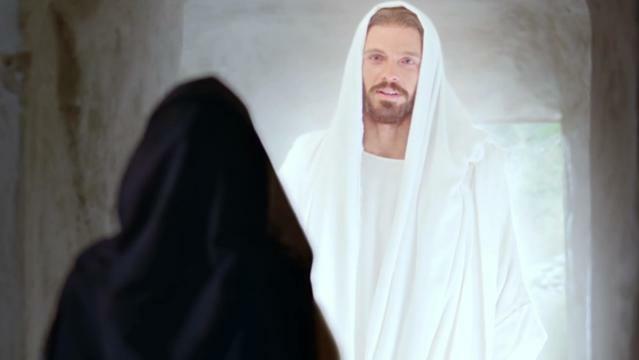 This Easter season, let Him change your life. Let Him heal your heart. Let Him show you the higher path.